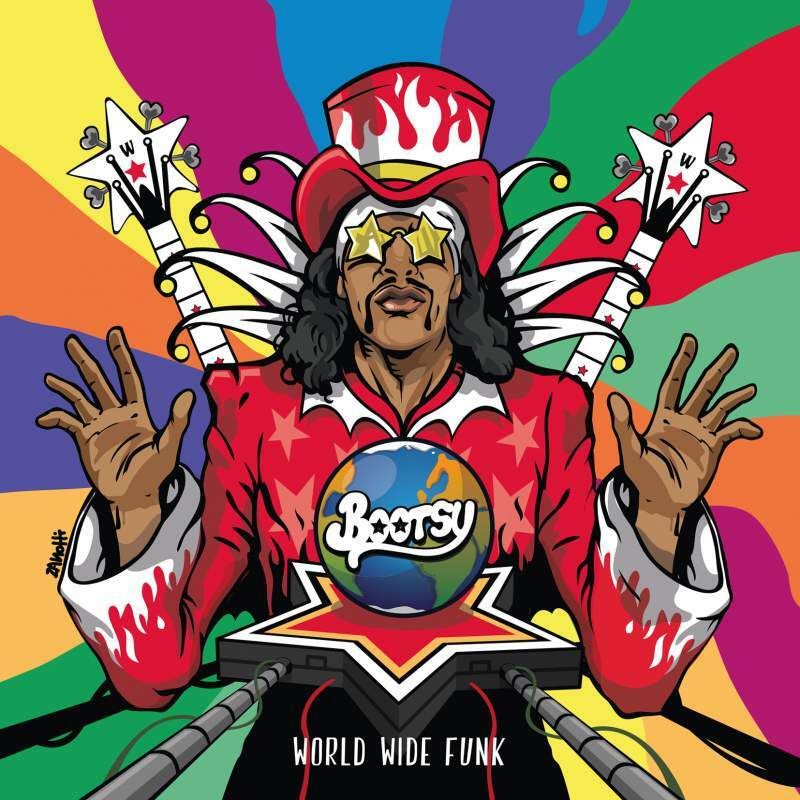 At the risk of sounding a tad hyperbolic, to call Bootsy Collins‘ latest LP anything short of a funkdafied masterpiece would be quite the understatement. Yes, it’s that good. World Wide Funk not only bristles with zesty verve, but also finds Collins serving up a sizzling selection of lip-smackingly juicy tripped-out bangers that snap, crackle and pop, like bacon strips hitting a red-hot skillet. The fact that its sterling roster of collaborators also happens to namecheck, among others, Chuck D, Kali Uchis and Doug E. Fresh (in fighting form), is – like icing on an already decadent cake – a delightful added bonus. Summer might be officially over, but this freaky star-glasses-wearing bass lord stays bringing the heat. Can you dig it?